It's that time of year again! 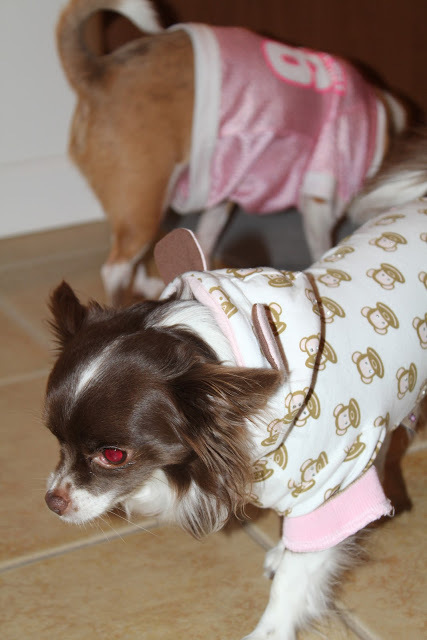 Halloween is right around the corner and it's one of my favorite holidays when it comes to celebrating with my dogs. That's probably because it's hilarious and so entertaining to dress a dog up in a costume and watch them play. 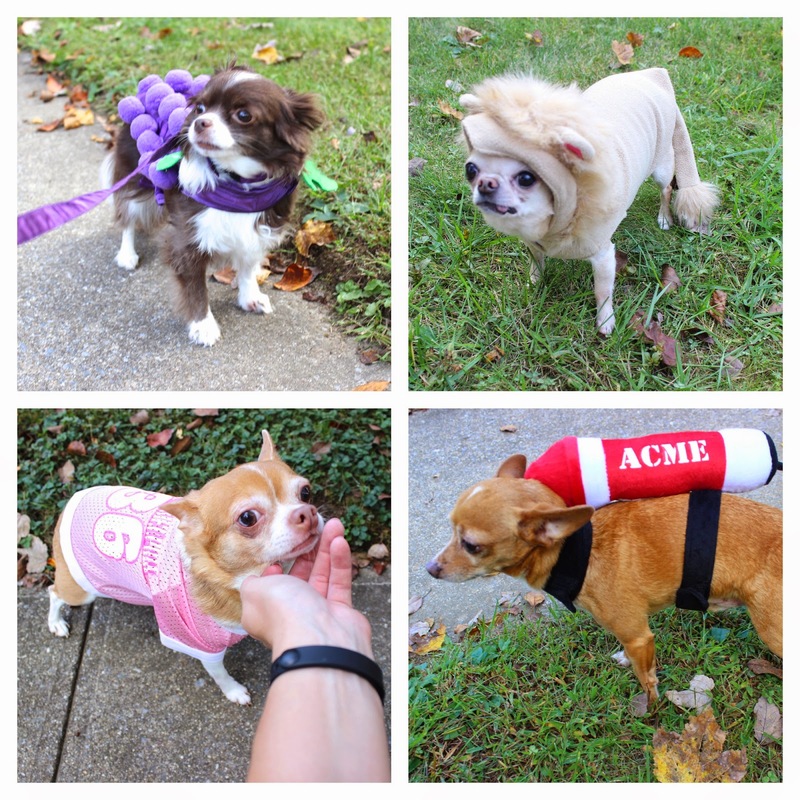 So today I put together some tips for having the best Halloween ever with your furry friend! 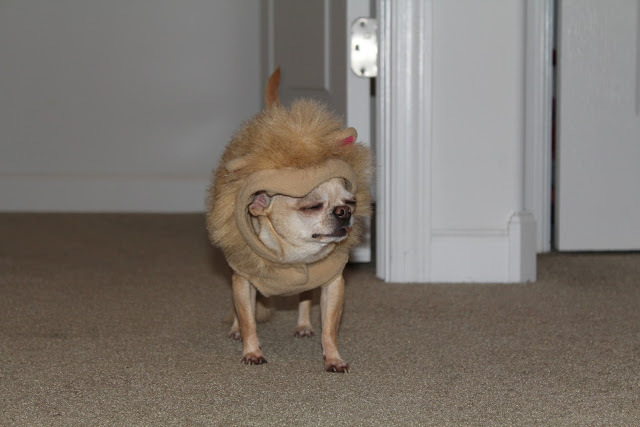 And throughout this post I'll have photos of my various dog costumes over the years to inspire you. Whether you make your own costume or you purchase one at the store, make sure it's practical. Your dog (for safety reasons) should still be able to see out of it and walk around in it. 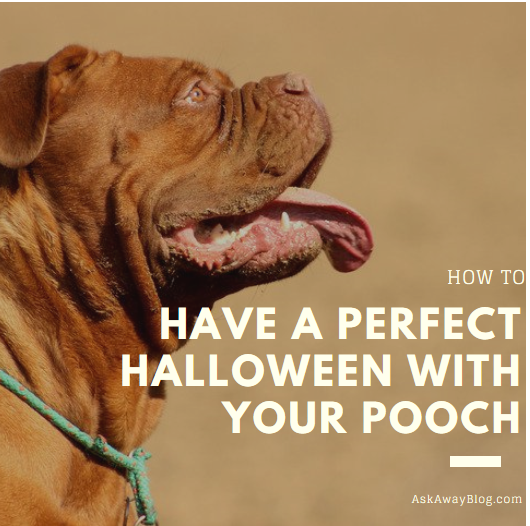 And you want to make sure there's some way to keep your dog on a leash, whether it's making sure there's a leash clip on the outside of the costume or being able to reach your dog's collar with a leash even with the costume on. Be mindful of the weather if you live somewhere that stays warm even in the Fall. You don't want your dog overheating because you put a ridiculous costume on them, right? 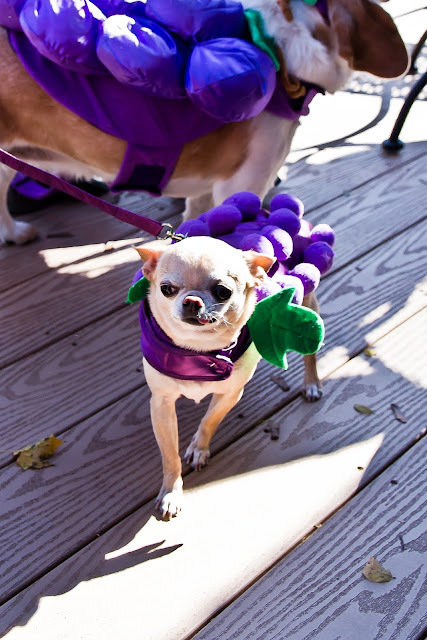 Anytime your dog is in a costume or at a Halloween party, you want to make them feel comfortable and reward any good behavior. I always keep treats handy. 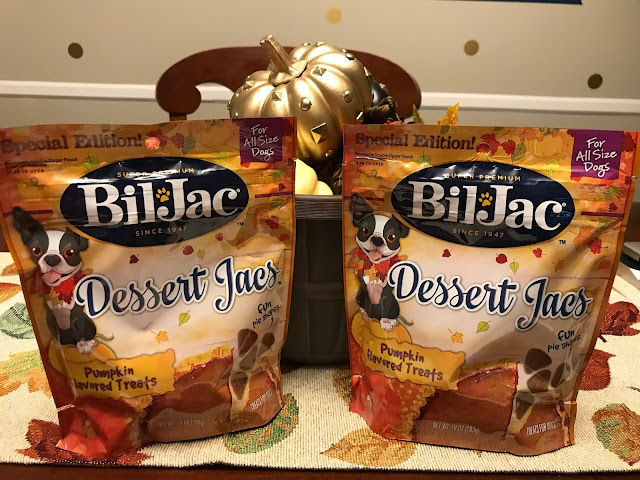 In fact, Bil-Jac Dessert Jacs treats are a fall favorite right now because they are pumpkin flavored! They are also the perfect little size to quickly reward the pups. This time of year can be full of a lot of things that can spook your dog, causing them to run off or even to get nippy. If you are in a public place around a lot of people, make sure you look for signs of distress from your dog. Sometimes they can anxious and overwhelmed by all the people and the attention. Also make sure you watch for people trying to feed your dog candy or something else they shouldn't be eating. If you are in an area that can get really chilly in October, only bring your dog along if they can handle the cold weather. The last thing you want is to come home from a fun outdoor party with your dog and have them catch a cold. Now is the perfect time to remember to just relax and enjoy time with your dog. I love letting my dogs interact with the neighborhood kids on Trick or Treat night. 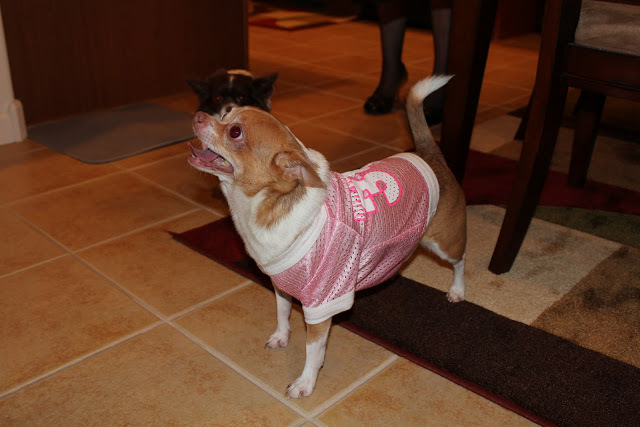 And I love socializing them with other dogs if we attend dog costume events. I don't force anything but I keep myself happy so that it rubs off on my dogs. You have to remember that some animals will FREAK OUT when a person with a mask or costume is around them. You have to understand it from their point of view. They can't see a clear face, they smell something weird (costumes always have a bizarre odor to them) and it can be just plain overwhelming to a dog. That's why I always keep my Bil-Jac treats handy to keep them calm and happy. 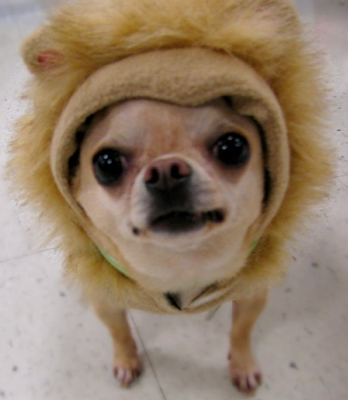 And here's another cute photo of Pixie as a lion, because she's just so darn adorable! What is your pet being for Halloween this year?